Only two British monarchs have lived long enough to celebrate a Diamond Jubilee - and the first time around, Swindon folk and their neighbours did it in true Victorian style. The old queen enjoyed immense popularity during the celebrations of her 60 years on the throne in 1897, and apparently enjoyed it herself, but it wasn't always like that. 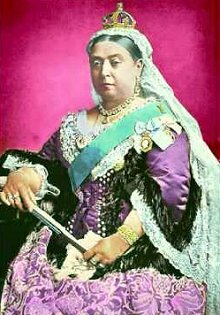 Following the death of her husband Prince Albert in 1861, comparatively early in her reign, Victoria slowly withdrew from public duties, which made her unpopular. It wasn't until the success of another landmark - the Golden Jubilee of 1887 - that support for her really took off, so that, by ten years later, people still had plenty of fond memories and were keen to celebrate all over again. In 1897, as in 2012, events were spread over a number of days, but concentrated on one day in particular - June 22, a Tuesday. That was the day when a grand procession took place in London, but although this would have been accessible to some Swindon people who could have gone up by train to join in, celebrations were planned closer to home. A fund was set up in the town to pay for the festivities, which eventually reached more than £1,400 - a huge sum for the time - with Mr Thomas Arkell and his wife topping the list of personal donations with £200. The day began with the ringing of church bells across the town and ended with fireworks and illuminations - the latter of which seemed to catch the imagination most, judging my newspaper reports. Bearing in mind that electricity wouldn't be laid on in Swindon until the following decade, the gas-lit displays by businesses and locations such as the Mechanics' Institute, where a big decoration in the shape of the letters V and R was installed, must have seemed wondrous. 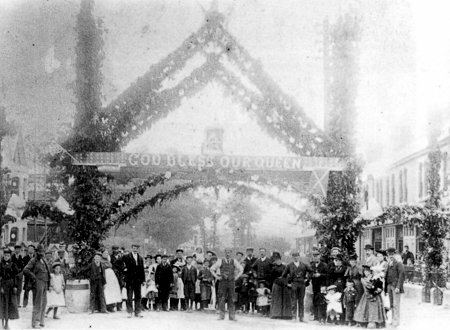 Various displays - illuminated or otherwise - were put up around town, including a decorated archway in County Road. On it was inscribed “60 years and not a change of a sovereign”, and it was photographed from both sides. This was unusual as very few photographs of the day survive, even though two major events took place during the day and attracted suitably large crowds. At the County Ground, “for six or seven hours there was an almost continuous round of amusements, sports, stage performances, and dancing, going to make up an entertainment to suit the tastes of all”. However, some later complained that the spectacle was tasteless. 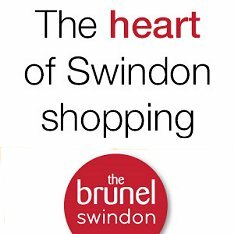 An enraged Swindon Advertiser reader wrote to the paper to complain that the cyclists' attire - presumably their shorts - was “simply filthy”, especially after they dismounted, and how this “mostly rudely shocked” the ladies and the girls, causing “our already fearfully demoralised country some degree of further declension”. The writer, who signed himself - or maybe herself - `Utterly Disgruntled' would have been relieved that local schoolchildren were spared such a sight. 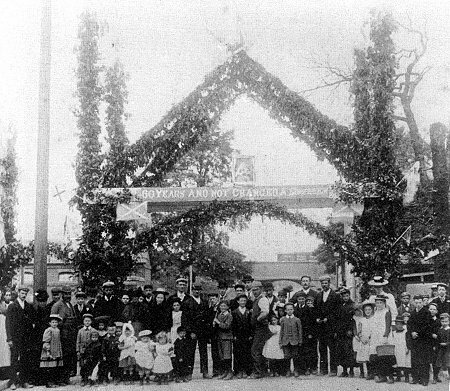 They had their own separate celebration at the GWR Park in Faringdon Road, organised by the Mechanics' Institute, although they were later to be joined by their parents and huge crowds. Each local school marched their pupils down to the park, and even 120 children who somehow weren't attached to any schools but gathered at the gates with envious eyes were admitted and received the same treats. This mainly consisted of `ad lib' cups of tea and no less than half a pound of cake each, plus a small `Queen cake' in a special bag. Each child also took home a special commemorative medal. Over two tons of cake was given away, along with 1,100 gallons of tea. As night fell, there was an ascent of `fire balloons', a firework display and a military tattoo, along with the lighting of a 35-foot bonfire, fuelled by 240 gallons of tar. Neighbouring towns and villages each devised their own particular ways of celebrating the Jubilee, but there were common themes. An official Jubilee Hymn was sung on the day and in thanksgiving services in church on the Sundays before and after June 22. On the day itself, parishioners in most places sat down for free tea, although sometimes this only applied to the elderly (over 60s) and sometimes the logistics of getting everybody seated and perhaps also the social etiquette meant that the men had separate sittings to the women and children. Wanborough's celebrations were two days late because bad planning meant they weren't able to get a tent, a band or crockery, but they eventually made up for it with a horseback procession and, naturally, tea. But the good people of Cricklade had other ideas and provided the most lasting marker of a memorable day. 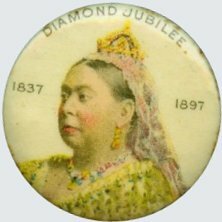 It's one we are still familiar with today, even if most people will be unaware of the Diamond Jubilee connection. The High Street clock, which even 21st century drivers can't miss as they enter the town, is called the Jubilee Clock as it was made to commemorate the Diamond Jubilee, although it wasn't actually erected until the following year. There was also a torchlight procession, but, surprisingly, apparently no tea.